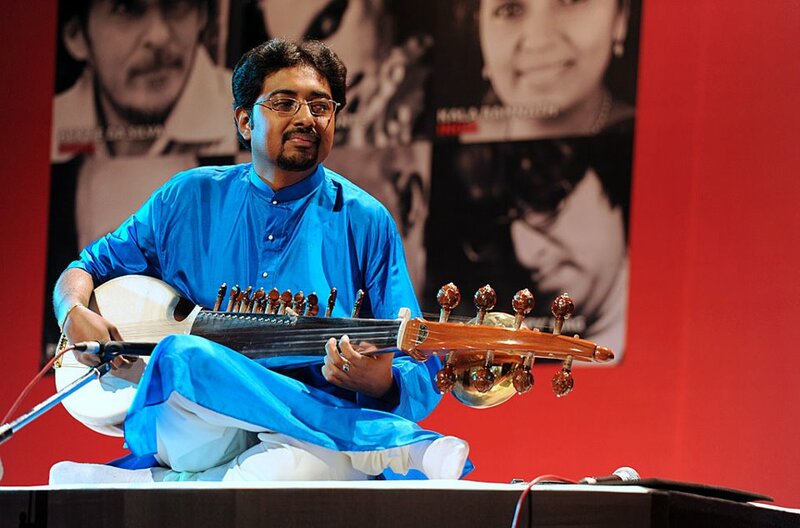 Abhisek Lahiri started performing in public at an early age of 11 years though he got his first break in national level in 1997 when he was invited by Pandit Hariprasad Chaurasia to play at “Saath Saath Festival” and that year he also gave his debut performance abroad in Holland at the “World Kinder Festival” where he was named as an ‘Wonder Kid’. 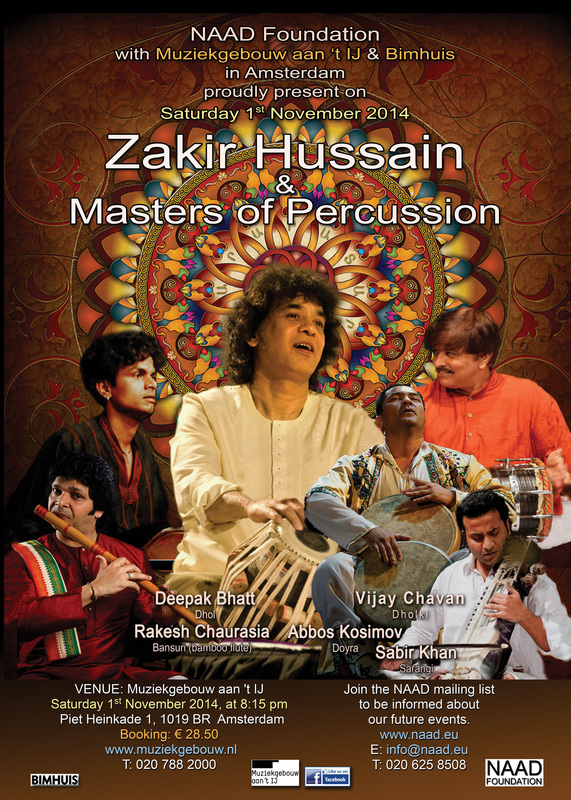 That was just the commencement of an outstanding prodigy’s lifelong commitment towards music which later led to extensive concerts through Europe, U.K., U.S.A., Canada, Africa, Sri Lanka, Japan, Bangladesh apart from India. He with his father Pandit Alok Lahiri holds the dignity of performing as the first Indians at the Europe Parliament in France, Cannes World Music Festival and also in Canada Culture Days in Toronto. 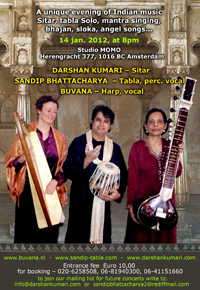 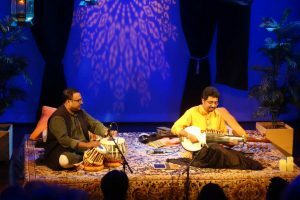 Abhisek has created an amalgamation with the Japanese Guitarist Hideaki Tsuji and his group Ionah which represents world music and has got worldwide recognition. 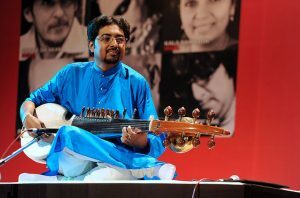 Abhisek’s music albums “Sparkling Sarod” got nomination at GIMA (Global Indian Music Awards) in 2010 and in 2014 again his album “Mood Of Puriya Kalyan” got nominated along with the legends of our country such as Pt Hariprasad Chaurasia, Pt Shivkumar Sharma, Ustad Zakir Hussain, Ustad Rashid Khan and many more. 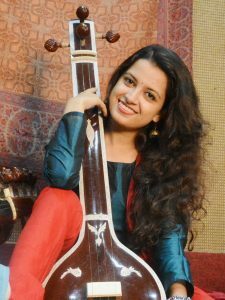 Born in a musical family, Somdatta Chatterjee has been primarily trained under the guidance of her father Shri Subhasish Chatterjee, Uncle Shri Snehasish Chatterjee (one of the senior deciple of Acharya Jayanta Bose), her grandmother Smt. Arati Chatterjee and Guru of Agra Gharana Vidushi Subhra Guha. 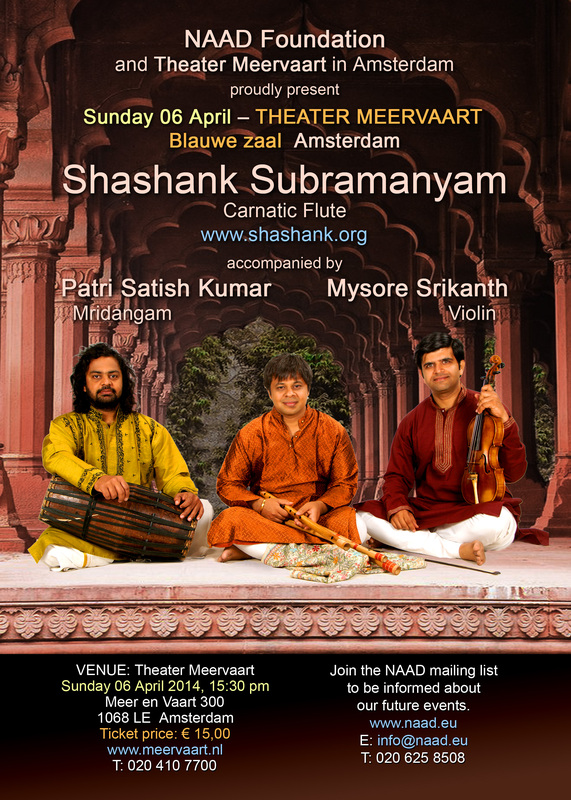 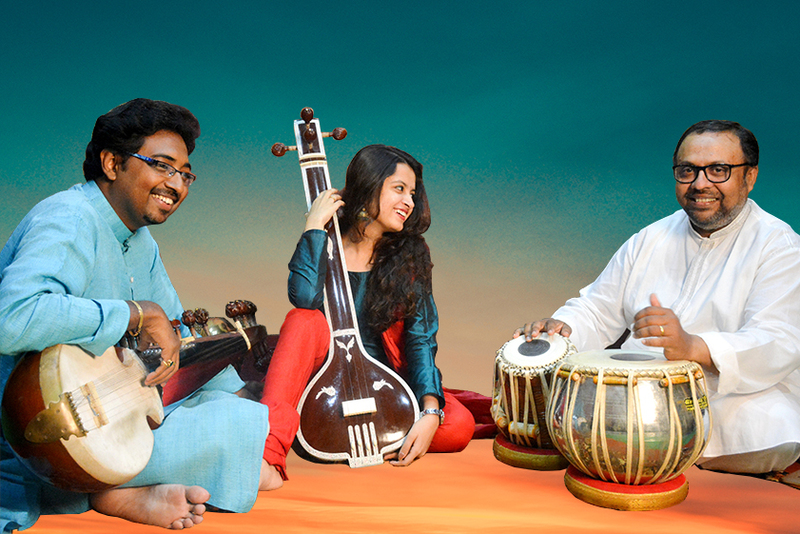 Somdatta has performed outstandingly in countless competitions domestically and internationality, including winning the prestigious Dover Lane Music Competition. 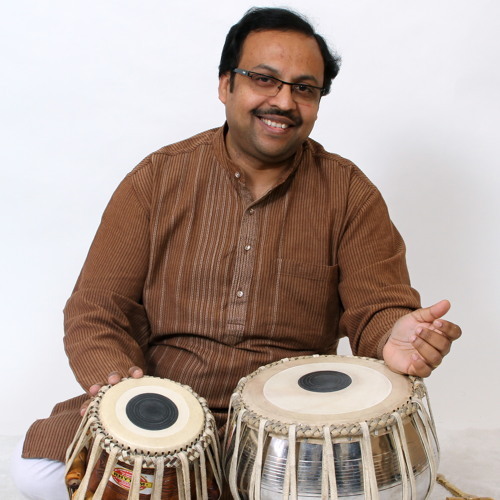 is a very talented tabla player who studied under his father Late Pandit Ashok Kumar Mukherjee, the revered Late Pandit Samta Prasadji and Pandit Swapan Chaudhuri. 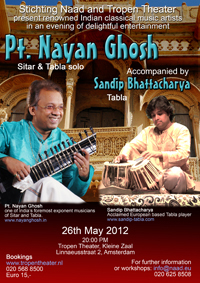 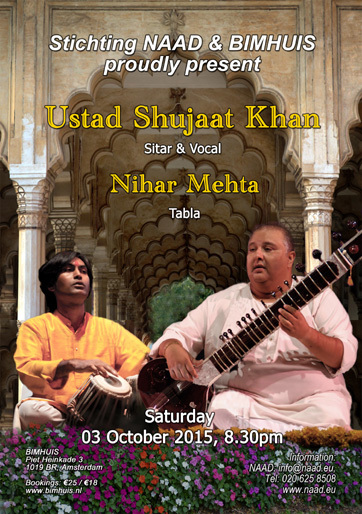 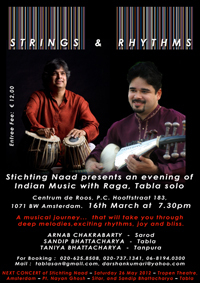 He has toured the world extensively and mesmerizes his audiencies with his skills on the tabla. 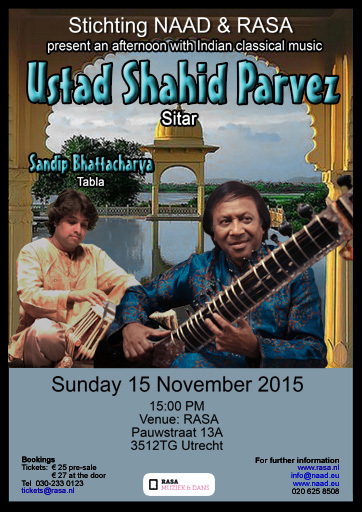 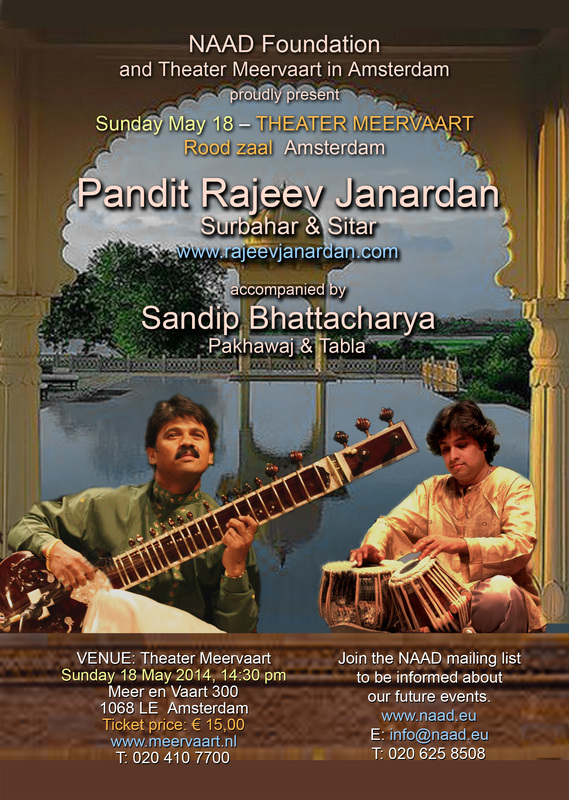 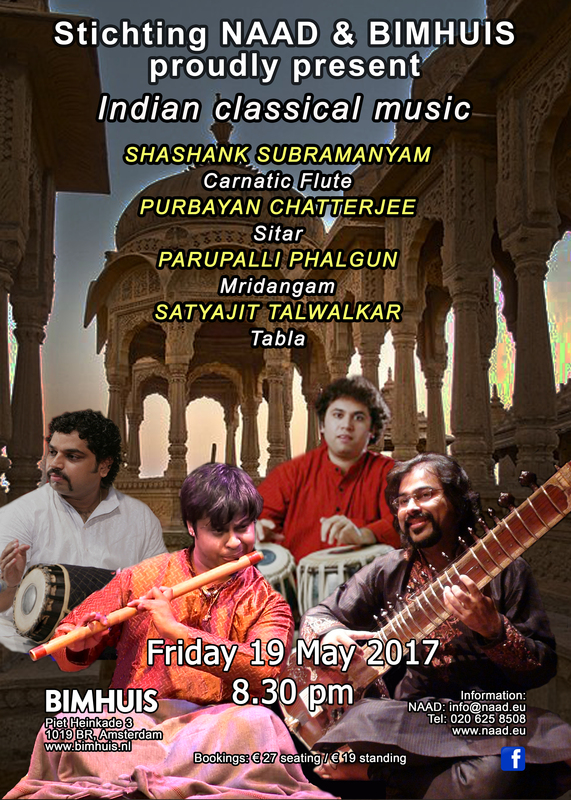 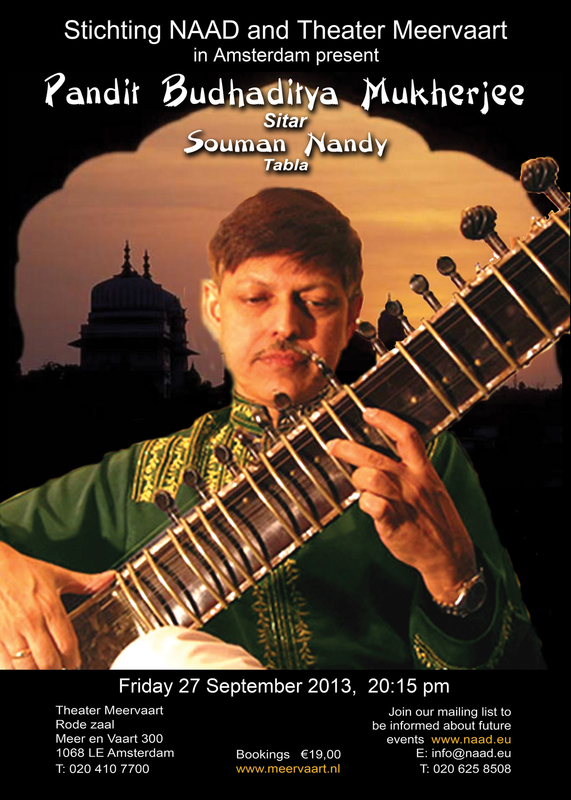 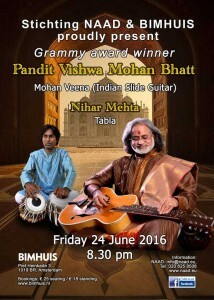 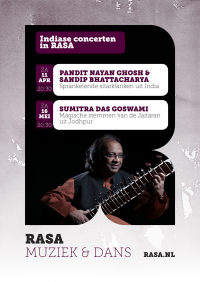 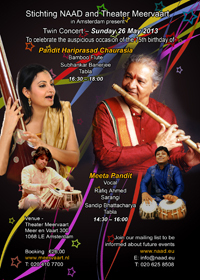 He has played together with renowned artists like Pandit Budhaditya Mukherjee, Smt. 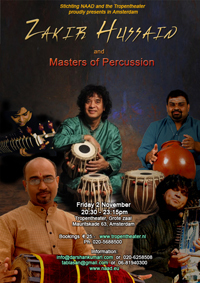 Shubha Mudgal, Begum Parveen Sultana, Ustad Shahid Parvez, Ustad Shujaat Khan and many others.His prolific work includes playing authentic traditional solo Tabla, performing with classical Indian artists (dancers and musicians), Middle Eastern musicians and composers and collaborating with western Jazz musicians.